VJS, a business area of Karnov Group, is a qualified in-service training provider for legal professionals. The market for these kind of services belonged solely to VJS from 1967 until 2000, when a number of competitors surfaced. While VJS is still one of the most profitable companies in the business, they still have room to grow. And a repositioning of their brand and a website redesign will help them find out by how much. The first step: a shift to HubSpot Website and the help of iGoMoon. For legal professionals, class is always in session - even when they have reached the world of “Your Honor!” and individuals who either can or can’t handle the truth. They are obligated to complete 18 hours of in-service training per year, which is where VJS comes in. Their course catalogue spans over a 100 classes with 80 unique topics with a practical approach to education. Out of three agencies, iGoMoon was the only one we were confident could build our website in HubSpot and meet our integration needs. VJS’s website was stuck in the past - which sadly wasn’t hard to tell. While the site lacked responsive design, interactivity and positioned them as an outdated, conservative company, it had a high conversion rate. But both the design and the tools they used to communicate with current and prospective clients needed an update. The old website even used three different CMS’s and a separate one for landing pages. And worst of all, it wasn’t responsive. 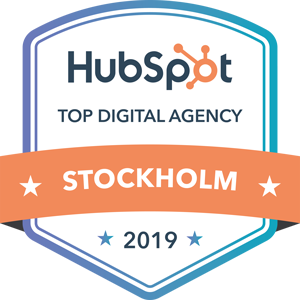 HubSpot was chosen as the platform for their new website. But they did not have full control of the design process. Their parent company, Karnov Group, was worried that any kind of tweak to the website would lower the conversion rate. 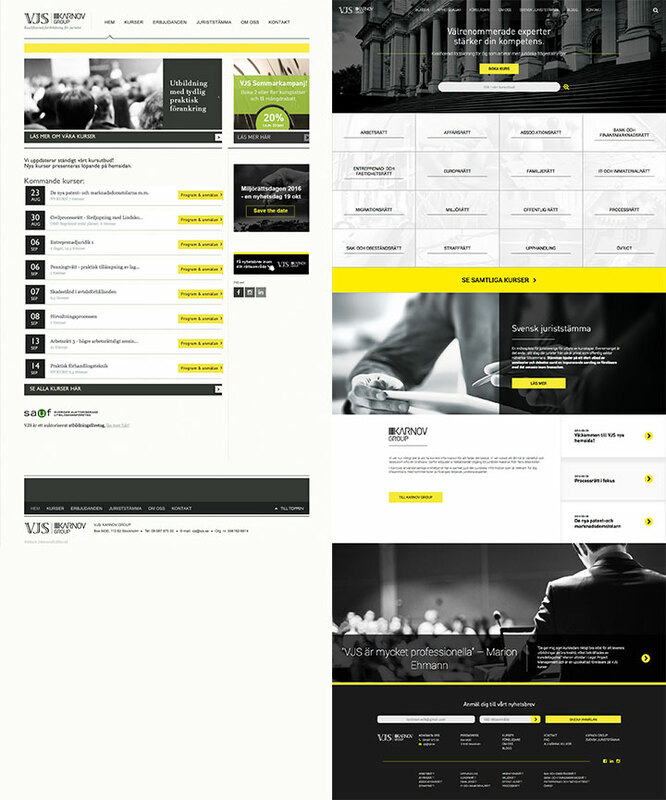 The new website had to contain all the parts that made up VJS - but do a better job of showcasing their professionalism and providing visitors with a premium user-experience. 1. Re-positioning the brand from philanthropic and conservative to premium and professional. The new site allows the design to breathe. By working with whitespace, pictures and giving every piece of content the space it deserved, the site now has a sleeker look. 2. Creating an informational hierarchy where the most important aspect of the site was lifted and allowed its own space. The old site tried to cram as much information as possible on every page, which clogged the flow of information to the visitor. By working with vertical scrolling functions, creating clear Calls-to-Action and re-working the site structure, the website is now allowed to serve its true purpose of generating sign-ups. 3. Responsive design. Obviously it needed to be responsive. Duh? 4. Improving the course search function. The old search function only allowed a visitor to use one parameter to sort courses by. The new function allows a user to use as many parameters they like to sort the courses, such as lecturer, date, length and course type. This is all innovatively built natively in the Hubspot CMS, which makes for really easy administration and high performance. The site is also equipped with a real-time free-text search box, that utilizes a Google Custom Search Engine for a really user friendly browsing experience. See our Hubspot Development services. 5. Integrating LMS (Learning Management System) A really important feature of the new site was that the sign ups forms were: Using Hubspot forms, to be able to utilize “Smart fields” for an easier sign up process. Automatically sending the sign up information to an external LMS, to automatically manage the bookings and invoicing. Enroll the new signed up customer in nurturing workflows. Solved through webhook triggers, responses through the HubSpot API and careful clearing of contact properties. The new website has given VJS the tools to continue their growth, regain their market shares and position themselves as the top choice for in-service training for legal professionals in Sweden. Check out the full VJS site by clicking here.